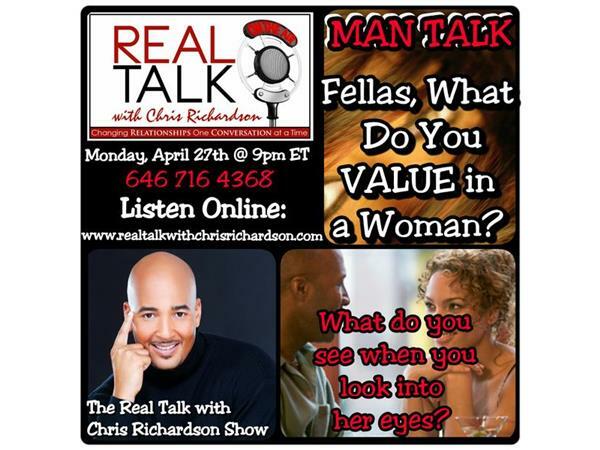 MAN TALK - Fellas, What Do You Value in a Woman? Are you ready? The fellas are preparing to bring it home on another episode of MAN TALK. •What are your top 3 values? •What do you see when you look into her eyes? •How does it make you feel when you aren't valued? •How do you break it down or broach the conversation with her? •How do you encourage your woman? •How do you deal with reconciling your emotions with the present reality? •What does your faith say about it? •What advice would you give to the ladies that are ease dropping?